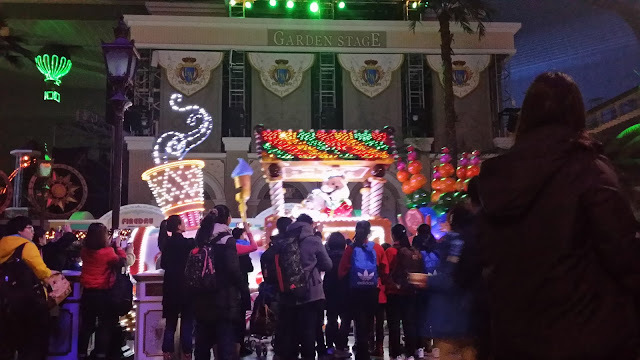 It's our third trip to Lotte World since falling in love with Korean holidays in 2013. Despite the attractions and rides changing minimally in a span of three short years, the girls develop so quickly that their abilities to enjoy the attractions grow accordingly. In our first year, we were pretty much restricted to the 'kiddy' rides. In the second year, the older girl began enjoying roller-coasters and other dare-devil stuff. The younger one kept to the easy going rides. This year, what will it be? There was a promotion for day passes for hotel guests. 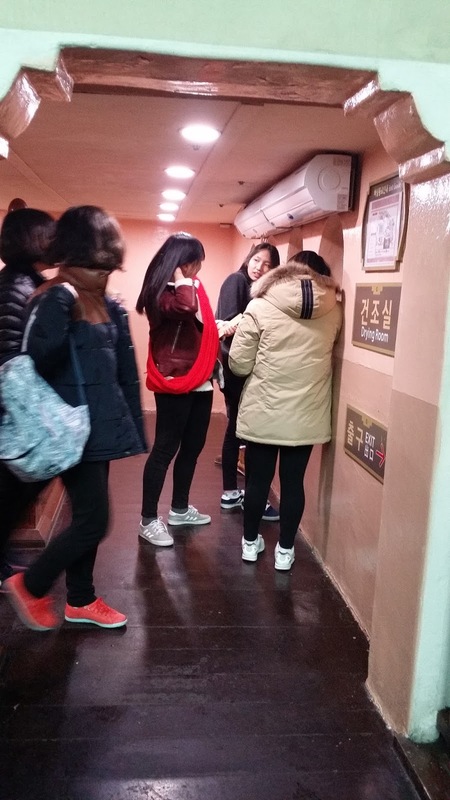 Otherwise, an adult day pass would cost 48000 won while a child pass would cost 38000 won. We had the company of our cousins, with young children of comparable age to our two girls. For the most part, the kids moved around in two teams comprising an older group and a younger group respectively, while the adults took turns to chaperon them. The adults who were not actively supervising either of the groups stationed at our 'headquarters' located on benches of a coffee joint called 'A Twosome Place', with all the bags and pram. The older girls hit the daring rides such as the Flume-ride, the 4D Adventure Tours, interactive shooting games, the intimidating Giant Loop, the Viking Ship and the roller-coaster. The younger kids enjoyed the Kids Bumper-Cars, the Drunken Basket, and easy train rides and the Dreamboat. The Wild Tours are three different 4-D Adventure rides that were a hit with both the older and younger kids. 4-D rides have seats that move in tandem with a widescreen first-person perspective animation to create the illusion that the ride is real. We've sat on 4-D rides in the past and we agree that these were the most realistic we have ever experienced. Prepare to get wet too! If you fancy things a little slower and easier, the Dreamboat is for you. The Dreamboat is so calming it literally put me to sleep, especially after accompanying one of the girls for three rounds of this! The Drunken Basket is one of those rides that can either be easy or intense, depending on how hard you spin the 'tea cups'. I was lucky that my young partner was not strong enough to spin the tea-cup into a ferocious speed. My perspective as our 'Flume Ride' climbed up for one of the speedy splashes that got us somewhat wet. This popular ride cost us 50 minutes of waiting time, but it was well worth it as I consider it my younger girl's first go at a free-fall. I am glad she enjoyed it. 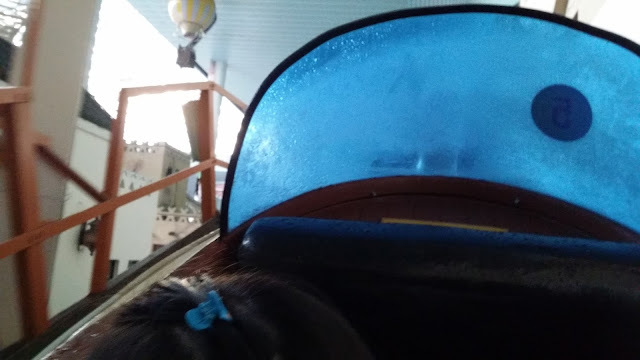 After the Flume Ride, there was a drying station with hot-air blowers. First time I am seeing this! The Camelot Carousel was something engaging for the youngest in our group. 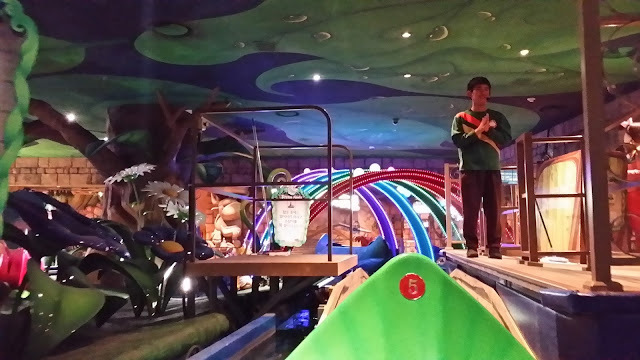 The Lotty Train tours around the entire indoor adventure park and kids can hop on and off with their guardians. The 4D Shooting Theatre is an interactive shooting game that gives each shooter a final score at the end of the session. Due to our competitive nature, we had to have a few goes at this to see who was the best shooter! In the Kiddie Zone, we found some entertaining rides for the younger ones, such as this flying car ride called Eureka! Bumper cars are always a 'hit'. There were plenty of food and beverage options, and we contemplated just letting the kids snack and skip lunch altogether, but decided to rendezvous at our 'headquarters' for a late lunch for a short break before breaking out again to conquer more rides. 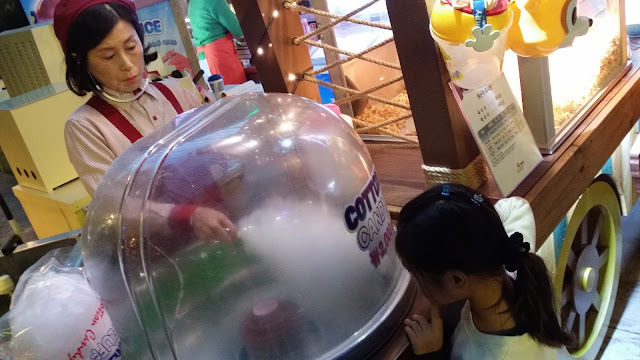 We had large cotton candy as well! Good to share. We stumbled on an Ozzang Express outlet at Basement One that served deep-fried squid on a skewer. 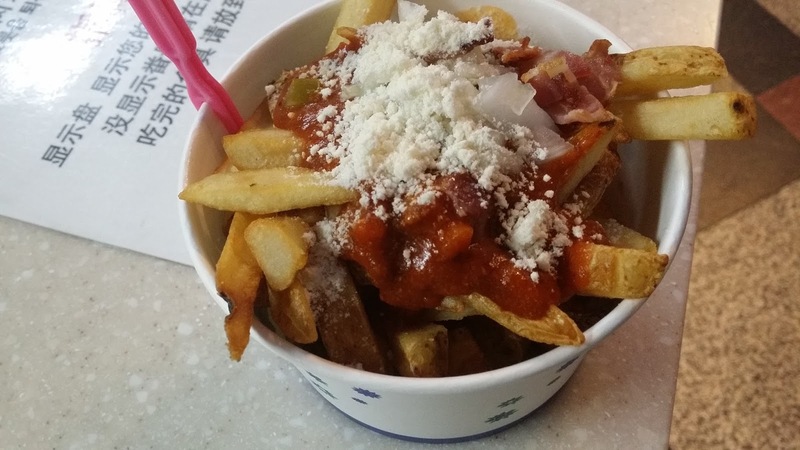 You could choose spicy flavours, but we opted for sweet onion that was quite a hit with the kids. When dinner is late since everyone is busy queuing for rides, you can't go wrong with fries in meat sauce and cheese. 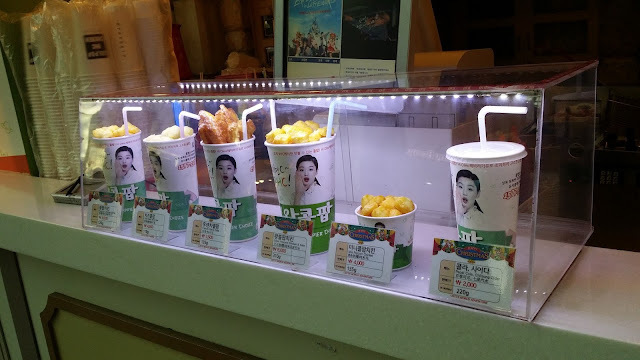 This cup of cola with a cup-cover that holds fried chicken was quite a hit with the youngsters there, but we didn't get to try it. There were many little things that made the park fun for everyone. There seemed to be an impromptu presentation at each corner, such as a dancing jazz band or expert juggler. There were scheduled performances at the Garden Stage too. The giant parade just before dinner was a fitting end to an exciting day just before dinner, until we decided to come back in for a final ride after dinner! A notice board telling us showtimes at the Garden Stage. We did not exactly look forward to the shows as they were largely in Korean and we did not understand most of the story lines. Nevertheless, the costumes and props were enough to wow us and we did have the opportunity to watch a couple of the shows. This street juggler was really good at his craft! In the early afternoon, there was special Christmas themed parade with elaborate floats and performers. More of the elaborate floats. Some of the street performers at this parade. Right before we gathered back together for dinner there was massive night street parade that lasted for almost twenty minutes! The floats, mascots and routine were exactly the same as the parade in the afternoon but the lights made a lot of difference. It seemed more magical. The performers from the parade interacted with the spectators as they broke out in song and dance. The show was complete with pyrotechnics and smoke. The girls climbed atop some rubbish bins to get a better view! We stayed till the end of the parade before deciding where to go for dinner. Mummy strongly recommended UNCLES at the Food Avenue just outside the adventure park where she had one of the best giant deep-fried squid dokkpokki. The good thing about travelling in a large group was that we could order a variety of dishes and share them around, getting to try a little of everything and then leaving the daddies to vacuum up whatever was left. The entrance to UNCLES at Food Avenue. The menu had some grave spelling errors, but you couldn't go wrong by choosing the fried squid here! The kids probably wouldn't be keen on spicy dokkpokki, so we got them rice balls that they had to make themselves. You can tell they had fun using their hands! Udon was another non-spicy option that was popular with the kids. 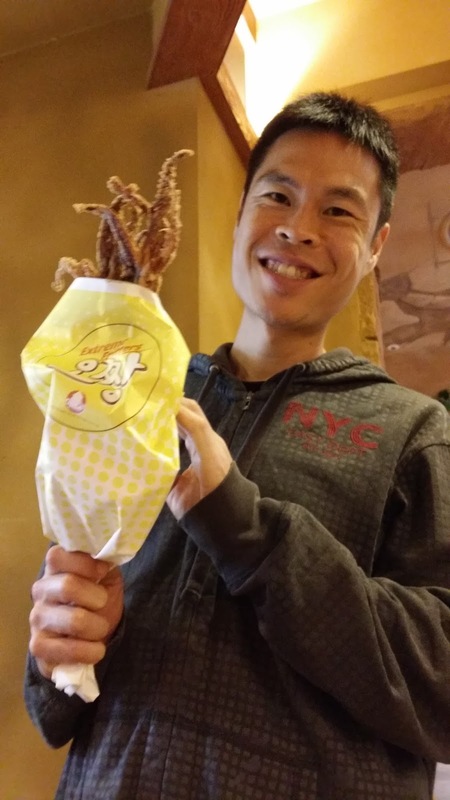 ... and Mummy's highly recommended giant fried squid! 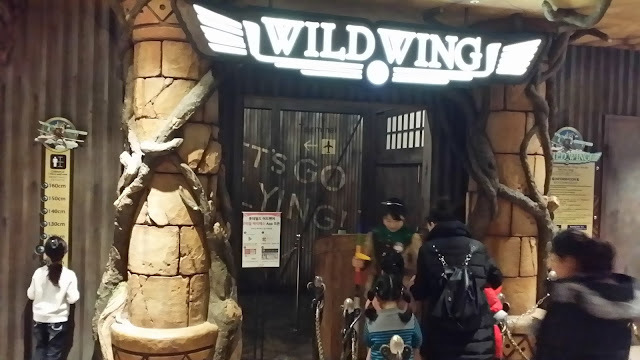 And you'd think that after a wonderful day out at Lotte World and a hearty dinner it was fitting to call it a day? You could never be more wrong. We re-entered the park and queued up for our final rides before it closed at 10 pm! Good thing our tummies held our dinner in on the last few rides of the day! On hindsight, our third trip here was just as enjoyable as it has been the last times we came. The younger girl was more adventurous this time around and even wanted to go for some rides on her own. The older one was milder, and decided to give some of the most intense rides a miss this time. 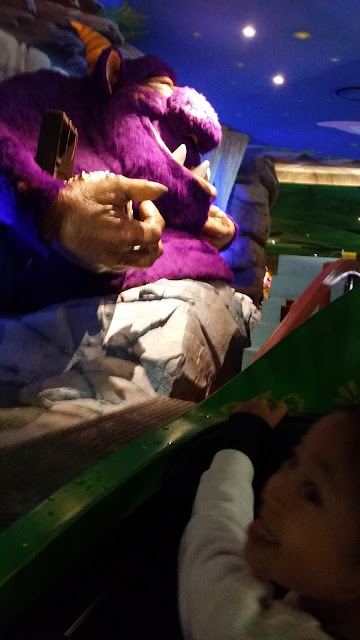 But despite cutting down on the roller-coasters, she found new enjoyment in some of the more interactive rides. It's only our first full day here in Seoul and we're already very tired! Perhaps we might get to sleep in tomorrow? Oops, we've gotten day passes to Kidzania and the first session starts at 10 am. I guess the sleep in will have to wait! 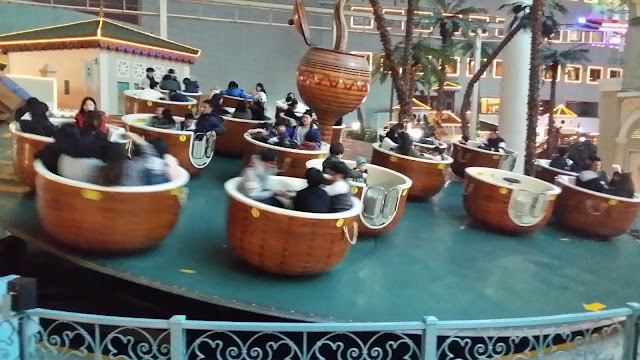 Hi, we're planning to visit Lotte World too during our trip to South Korea in March. My son is 4 and he's literary afraid of riding anything that moves without him being able to control. He would play inside a fire truck for half an hour but run away as soon as someone puts in a coin into it. He loves playing with touch screened computers though or just stuffs like putting toy ships into water and watch them. 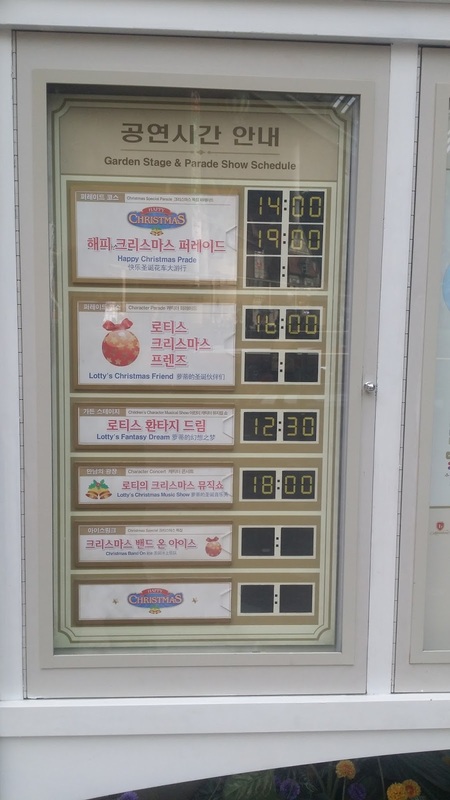 Can you advise me whether it'd worth it going to the Lotte World? Is there anythng that my son might enjoy? The entrance fee being quite high I'm not sure whether we should force it (although I personally would love to go there). Thanks! We'd recommend the Seoul Children Museum (http://withkidswego.blogspot.sg/2014/04/seoul-day-6-seoul-childrens-museum.html) or Seoul Grand Park. The activities there are more suitable and just as engaging and interactive for younger children. When our younger girl was four, she was very happy when we brought her there. She wasn't able to enjoy Lotte World at that time and was unwilling to try a lot of rides as well. You are right when you said that the Lotte World entrance fee is pricey. 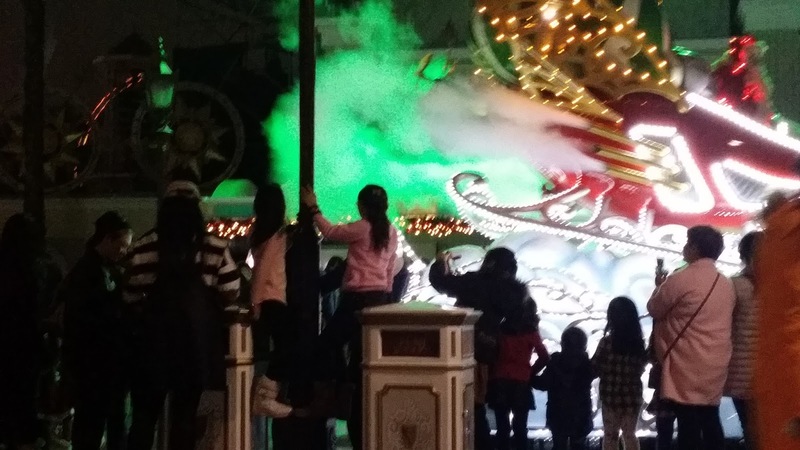 You can always visit Lotte World when your son is older. Our younger girl enjoyed it so much better last December. Hope it helps.